This panel focuses on the dynamics and impact of economic infrastructure projects in Sub-Saharan Africa, with particular focus on transport and energy, and issues of costs, quality of projects, impacts on economic diversification, employment and development of local construction capabilities. 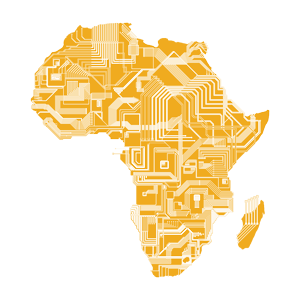 In the past 15 years there has been a revival of the development of economic infrastructure in Sub-Saharan Africa. Roads, bridges, dams, ports and airports have been built or rehabilitated in many countries. Transport and energy are indeed key priorities in this wave of infrastructural development as they are particularly important for Africa's structural change and economic diversification agenda. A significant impulse has been provided by the availability of Chinese finance for infrastructure, totalling $315bn in contract revenues between 2003 and 2016, representing nearly 50% of the total infrastructure market in Africa. Other international finance institutions are also increasingly contributing to fill the infrastructure gap in Africa which was estimated at $93 billion per year in 2009. Despite these rapid developments and the obvious physical and economic impact on African economies and geographies, there is still limited research on the dynamics and impact of economic infrastructure projects in the region. There are many questions of interest, but we would like to invite papers that shed light on questions like: what is the record of infrastructure expansion in the past two decades? What kinds of project have been prioritised and why? How do different road/dam projects compare across countries, contractors and by sources of finance in terms of their costs, timelines and quality? What are the effects on employment? Have African contractors benefited from the expansion of projects despite the arrival of international contractors? What are the linkages between infrastructure projects and industrialization, and what policies underpin such linkages?